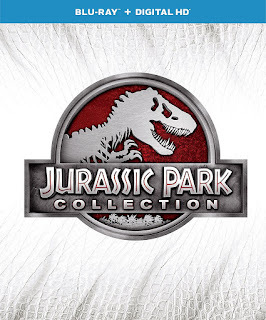 Today ONLY grab this Jurassic Park Collection Box Set (3D + Blu-ray) for $16.99 (Retail $44.98). On a remote island where an amazing theme park with living cloned dinosaurs is located, five people must battle to survive among the prehistoric predators when the security system breaks down and the beasts are released from their enclosures. Adventure runs wild when renowned palentologist Dr. Alan Grant agrees to accompany a wealthy adventurer and his wife on an aerial tour of Isla Sorna, InGen's former breeding ground for prehistoric creatures. But when they're terrifyingly stranded, Dr. Grant discovers that his hosts are not what they seem, and the island's native inhabitants are smarter, faster, fiercer and more brutal than he ever imagined in this heart-stomping thriller.